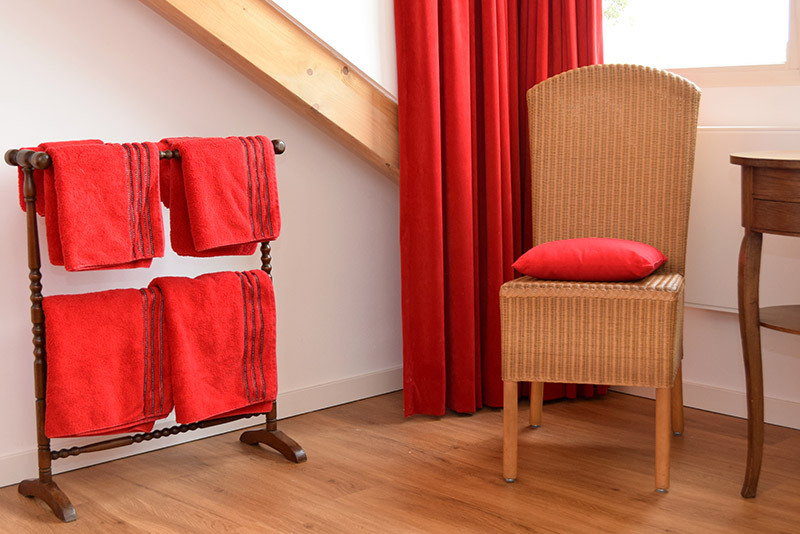 Holiday cottage KleinKamperfoelie is a luxury guest house, near Deventer and Zutphen. Provided with lots of extra’s and suitable for 2 to 6 people, everyting possible is done to make your stay comfortable and unforgettable. 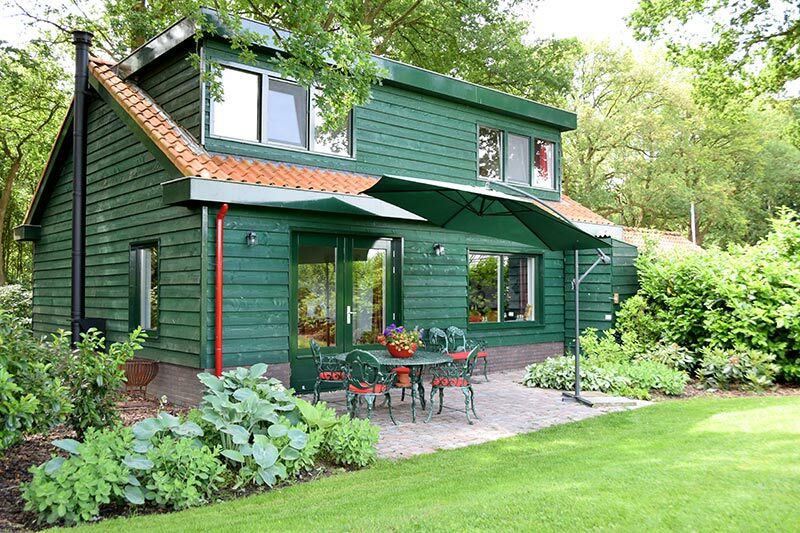 Holiday home KleinKamperfoelie is a luxury guest house, near Deventer and Zutphen. Provided with lots of extra’s and suitable for 2 to 6 people, everyting possible is done to make your stay comfortable and unforgettable. On the ground floor there is first of all the large entrance with coat rack and chest of drawers. Furthermore, a separate toilet and a spacious bathroom with rain shower and plenty of storage options. On the ground floor there is also a room with a king size boxspring bed and wardrobes. 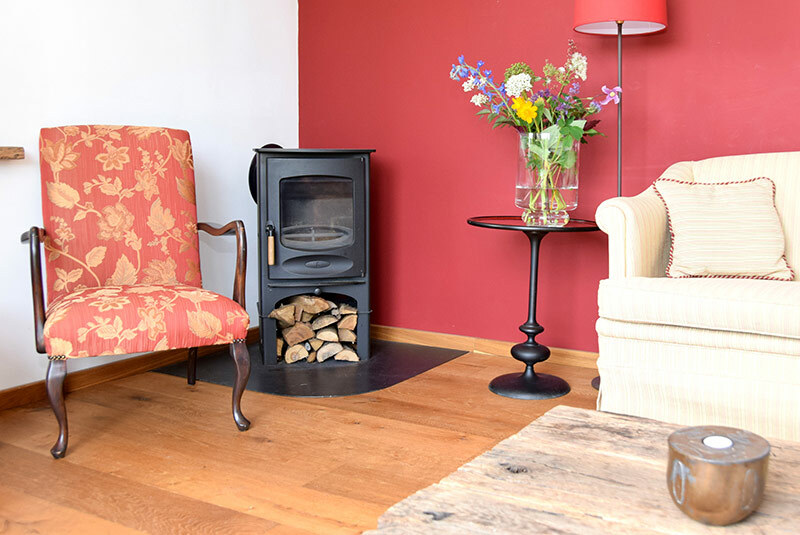 The living room with open kitchen has a fire place, a comfortable sofa and three armchairs. There are books and board games, and a flat screen with interactive TV. Between the kitchen and the sitting area is a spacious dining table with six chairs. The kitchen is fully equipped: fridge with freezer, Smeg six burner gas stove with fultifunction oven, dishwasher and various kitchen equipment such as a juicer and Blender. You can use a Nespresso machine with differently flavored cups. There are dried herbs and spices, oils and vinegar. You can also use the washing/dry machine. The first floor harbors two spacious bedrooms with beautiful views. The red room has a king size boxspring bed, the Orange room two single beds with an electrically adjustable Auping spiral bottom. Both rooms have a spacious and fully fitted wardrobe. Bathrobes are provided in all bed rooms and the beds are made upon arrival. There are plenty of towels available. The bathroom on the first floor is equipped with a rain shower and toilet. 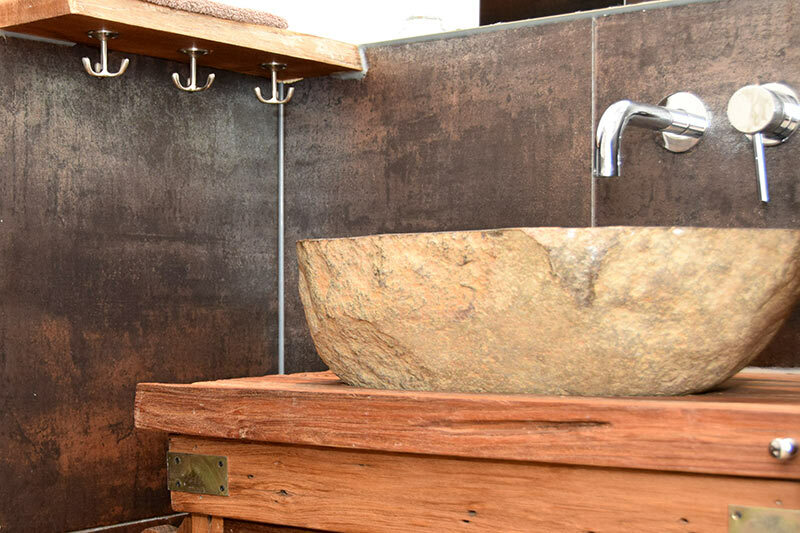 In both bathrooms hairdryers and Rituals amenities are provided. The living room gives access to an outdoor terrace and an enclosed garden. The terrace has chairs and a table for six people. There are also six deck chairs, as well as a Weber BBQ. The guest accommodation is completely equipped with WIFI and LED lighting. If required we can arrange bike rental. On the first floor are two spacious bedrooms with beautiful views. The red room has a king size boxspring bed, the Orange room two single beds with an electrically adjustable Auping spiral bottom. Both rooms have a spacious and fully fitted wardrobe. Bathrobes are provided in all sleeping rooms and the beds are made upon arrival. There are plenty of towels available. The living room gives access to an outdoor terrace and an enclosed garden. The terrace has chairs and a table for six people. There are also two deck chairs, as well as a Weber BBQ.